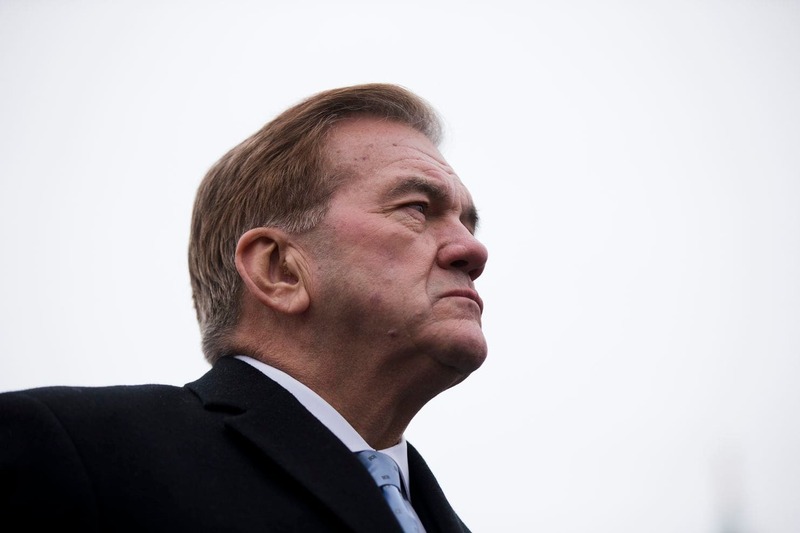 “Of particular urgency to me and many of my colleagues are the devastating impacts that the weakening of these agencies would have on job seekers with disabilities,” Ridge wrote. “Independent living centers, assistive-technology programs, supports for individuals living with brain injuries and family caregiver support services are among those programs and services on the chopping block. So, too, is the Office of Disability Employment Policy,” he added. Trump’s proposal includes cuts to domestic spending and an increase in money for a wall along the U.S. border with Mexico. A Labor Department office that promotes the hiring of people with disabilities is also proposed for cutbacks. His criticism comes in the wake of a high-profile reversal by President Trump last month of an administration proposal to cut federal funding for the Special Olympics. Trump said he was overruling Education Department officials in the face of bipartisan backlash. Among the programs that Ridge identifies as being “on the chopping block” are independent living centers, assistive-technology programs, supports for individuals living with brain injuries and family caregiver support services. A Labor Department office that promotes the hiring of people with disabilities is also proposed for cutbacks. 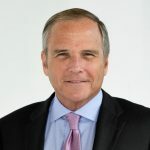 The nonprofit organization that Ridge leads says its mission is to promote the “full participation and contributions” of the roughly 56 million Americans with disabilities. 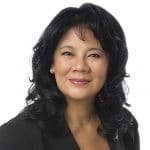 March 18, 2019 | Carol Glazer is the president of the National Organization on Disability (NOD), a Campaign for Disability Employment member organization. It is not unusual for waiters and waitresses to look only briefly at my son Jacob before turning to ask me what he would like to eat. With a shrug, I almost always say the same thing: Ask him. Jacob, 26, has apparent physical and cognitive disabilities. His arms sometimes hang awkwardly, and his eyes can wander. His speech isn’t always fluid. To many, it is the appearance of someone lacking agency—someone who needs help. It’s an appearance that belies a keen sense of observation, strong personal desires and a quick wit. Jacob knows what he wants. Ask, and he’ll tell you. When meeting him, even people who interact regularly with people with disabilities tend to speak at enhanced volumes and reduced speeds. When this happens, Jacob will ask them why, and, ironically, check that they are okay (his emotional intelligence and sense of humor have always outpaced those of others his age). These exchanges are mostly innocuous and even funny, if not a bit awkward for the would-be do-gooders. But they reveal a worrisome truth about our society. The term “stigma” is often used in the context of discrimination. And although stigma is certainly problematic, it is not always actively pernicious. Those waiters are not avoiding Jacob to be insulting. They are trying to spare him embarrassment—and perhaps themselves some discomfort. But in doing so, they rob him of his voice and his volition. For whom is that good? Society has certain expectations of people: expectations of education, of employment, of contributions to the common good. But, for totally outdated and cynical reasons, those expectations do not typically extend to those with disabilities, especially when it comes to work. Rather, it’s seen as a miracle that they get out of bed in the morning. Smart people—and smart businesses—do not subscribe to this tyranny of low expectations, however. Rather, they know that including people from all walks of life, with different perspectives and experiences, is the key to success. People with disabilities are above all problem solvers; in the workplace, this translates into innovative thinking. It’s no coincidence that businesses that excel at disability inclusion—for instance, those recognized as National Organization on Disability (NOD) Leading Disability Employers™—are among the nation’s, and in fact world’s, most successful organizations. As president of NOD, I have the privilege of working with these companies, as well as those at different points in their disability inclusion journeys. Those more towards the beginning often have the same question: What kinds of jobs can people with disabilities do? There are more than 50 million Americans with disabilities in the United States today, constituting a remarkably diverse group that includes people with Autism, asthma and arthritis, as well as cancer, depression, dyslexia and myriad other conditions. They are black and white, young and old; they live in Brooklyn, San Francisco and Iowa City. No two people have the same talents or interests—regardless of disability status. So, what kind of jobs can people with disabilities do? Any jobs that people can do. The frequency with which this question is asked was a significant driver for NOD in launching the Look Closer campaign, as well as joining the Campaign for Disability Employment. Through these initiatives, we are working to recast Americans with disabilities as a capable, untapped workforce, with new terminology and new archetypes. The key is sharing their stories. Some of the individuals featured in our Look Closer campaign are low-skilled, hourly workers. Others are senior managers and C-level leaders. In almost every case, the individual’s disability played either no role in their career whatsoever or created competitive advantages. It turns out, disability has very little to do with ability. So, have people with disabilities failed to exceed the low bar set for them? Or has society failed to set the bar high enough? It’s time for us all to look closer at our beliefs, expectations, and yes, our stereotypes. For more information about the Look Closer campaign and how individuals and employers can get involved, visit nod.org/lookcloser. 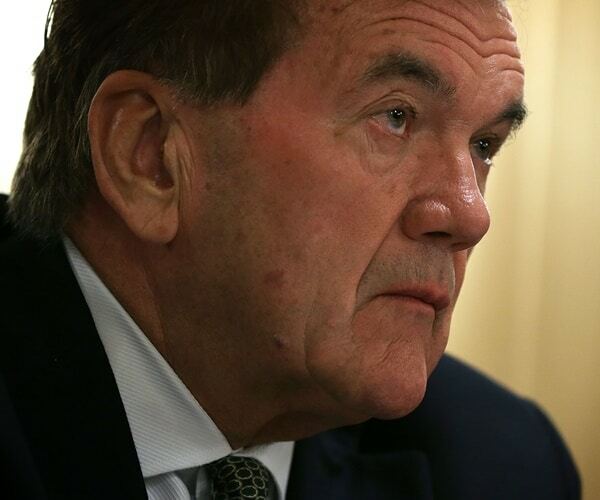 Washington, D.C. – (March 13, 2019) –The American Association of People with Disabilities (AAPD) has recognized National Organization on Disability (NOD) Chairman Tom Ridge, the first U.S. Secretary of Homeland Security and 43rd Governor of Pennsylvania, with the AAPD Leadership Award. Gov. Ridge was honored for his many years of distinguished service on behalf of the disability community, particularly his work with NOD to raise the issue of disability employment and to find opportunities for the 20 million Americans with disabilities who are ready to work. Last evening, AAPD President and CEO Helena Berger and Ted Kennedy, Jr. presented Gov. 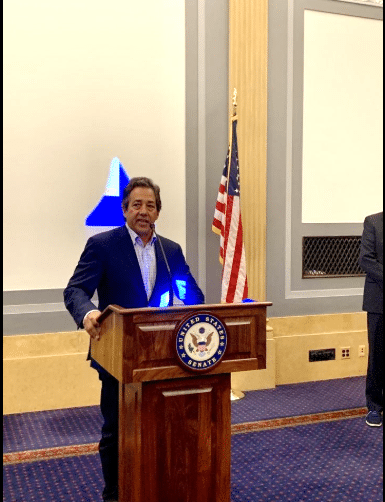 Ridge with the award at AAPD’s annual gala, which provides an opportunity for partners and supporters, as well as business and government leaders, to convene to show their support of disability rights and inclusion for all Americans with disabilities. Gov. Ridge became the NOD Chairman soon after his appointment by President George W. Bush as Homeland Security Advisor in 2006. 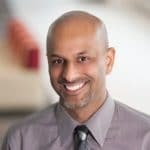 Under his leadership as U.S. Secretary of the Department of Homeland Security, DHS implemented an impactful program to hire people with disabilities. He also partnered with NOD’s Emergency Preparedness Initiative for the first-ever conference on Emergency Preparedness for Individuals with Disabilities. For more than a decade as NOD Chairman, the organization has adopted a strategic focus on training corporations and organizations to help hire people with disabilities in our country today. Most recently, Governor Ridge led the charge to launch Look Closer, a national awareness campaign by NOD to encourage hiring managers to consider this diverse, capable, and largely untapped talent pool and put more Americans with disabilities to work. 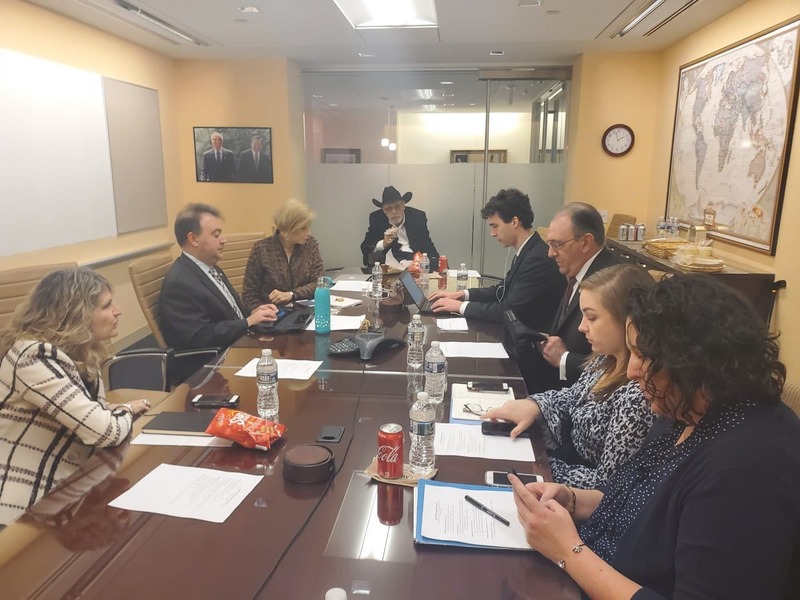 He also has convened a group of fifteen disability organizations from across the country, including AAPD, to focus attention on the critical issue of employment for people with disabilities. 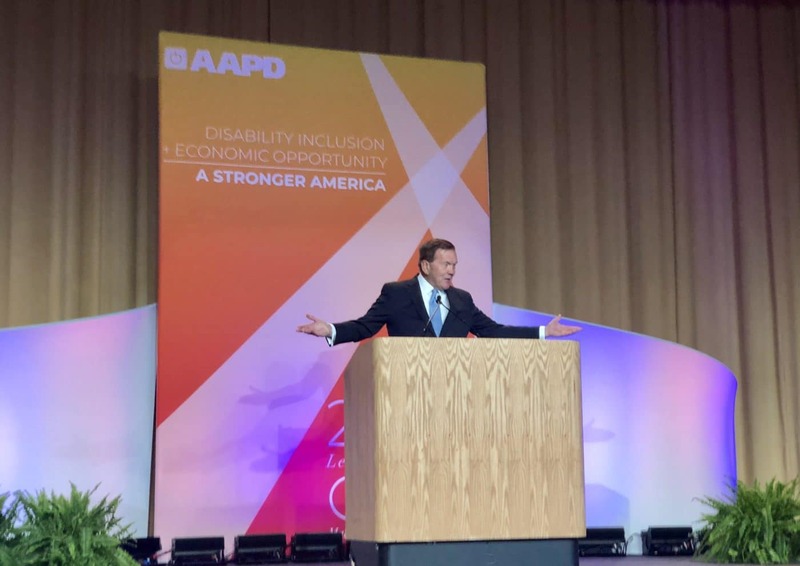 “In accepting the AAPD Leadership Award, I stand before you to represent not only the National Organization on Disability, but also the 57 million people with disabilities in America, their family and their friends,” said Gov. Ridge. “I accept this award for all people who value humanness, fairness and democracy. “NOD and AAPD are very close in age. For the longest time ours were the only two cross-disability organizations, and we have toiled away at our work now for nearly four decades. So we know that the ADA, its precursors, and laws that followed, have done much to change that view of disability as something to be cured. Or feared. Or used as a reason to exclude people from communities, from civic life and from the workforce. And in many ways our circumstances have improved. “But make no mistake. The numbers on workforce participation have not changed appreciably since the end of WW II. Not in the 28 years since the ADA; not in this age where technology has leveled the playing field for all of us. Not even now, in the tightest labor market in half a century. “There is, however, a good news side to this story. In an era where rancor dominates the mood everywhere and especially in Washington, our issue cuts across party lines. It cuts across race lines, gender lines, and even class lines. The issues of who participates in our workforce, our communities, and our society, are not partisan issues. In an era of identity politics, our identity is the most cross cutting there is. At the end of the day, that’s power. In April and October 2018, NOD convened these disability organizations in a “Disability Employment Roundtable.” The coalition collectively identified two policy priorities to work on together: (1) eliminating “14C” certificates, which allow employers to pay workers with disabilities sub-minimum wage; and (2) to bear down on enforcing the 503-rule change for federal contractors. The groups met earlier this month in Washington to brief elected officials at the U.S. Capitol. One in five people in the U.S. have disabilities, making up 54 million people in the U.S. Palm Beach resident Luke Visconti advocates for this group as vice chair of the National Organization on Disability (NOD), which aims to help people with disabilities find employment. In 1997, Visconti founded the online publication DiversityInc., which focuses on diversity and inclusion in the workplace. His life took a turn after suffering a stroke four years ago at the age of 54, leading him to gear his efforts toward working with NOD. 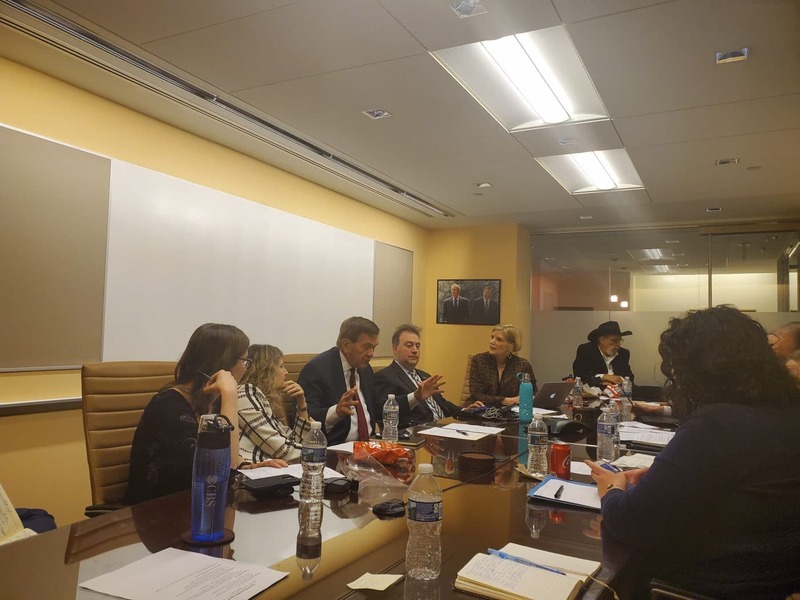 On behalf of the organization, he took part in a meeting last week in Washington, D.C. with 12 national disability organizations and U.S. Sen. Bob Casey (D-Pa.) to advocate for increased employment for people with disabilities. Visconti recently spoke to the Daily News about his work with the NOD and how he has progressed since his stroke. How long have you lived in Palm Beach? I moved here full-time last year but had been wintering here for the past four years while living in Princeton, New Jersey. How did you get involved with the National Organization on Disability? I’ve known (NOD President) Carol Glazer for well over a decade. After my stroke, she got out to me quickly. NOD has been able to put all of these groups together so we can advocate for our collective best interests. Our mission is to get people to work. What are your responsibilities as vice chair of the NOD board? The board keeps strategic direction. We discuss initiatives and opportunities that will help people get employment, and that’s what we spend the most time on. We evaluate Carol Glazer’s performance on a regular basis. I was at home in Princeton, New Jersey. I woke up having trouble walking; I felt strange. At first I brushed it off, but then I woke up my wife. I made two big mistakes: I didn’t call 911 and I had her drive me to the hospital, which was the wrong one. They misdiagnosed me and I didn’t get a tPA (tissue plasminogen activator). There was no neurologist or cardiologist on staff. Instead of sending me away, they took my insurance money and left me there. If I had been treated properly, I wouldn’t be paralyzed. How do you function since your stroke? I was paralyzed on my left side, and I still do rehab every day to get myself basically functional. We moved here because the cold stiffens up my affected side. I can walk, but it’s not pleasant; I have to focus on every step. I am effectively one-handed. I really would like my left hand and left arm back, it just takes work. I do Pilates once or twice a week at the Royal Poinciana Plaza. What should readers know about people with disabilities? People with disabilities deserve the ability to go to work. They have plenty to contribute. From a pragmatic point of view, you get the best people when you select from the widest possible pool. We can increase the country’s GDP by having people work to the best of their ability.